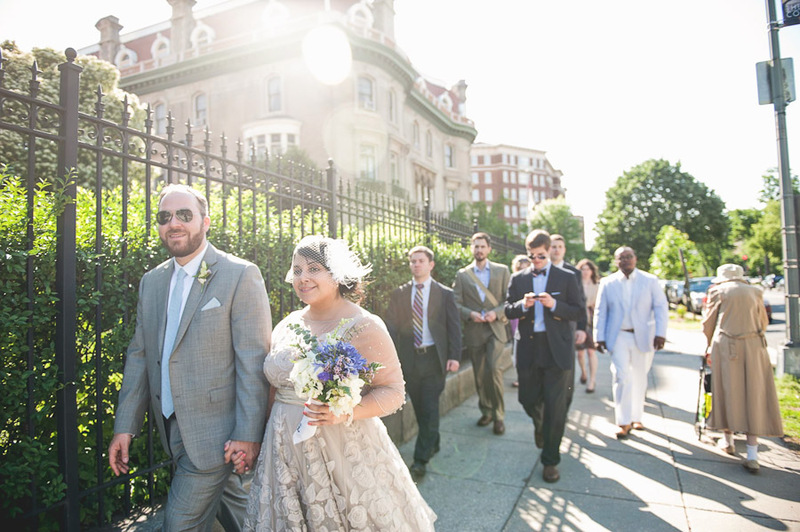 Three years ago, we were married under a large tree in a small park in Georgetown. That day was breezy and full of golden light, and a small group of our dearest friends and family stood in a circle around us while we made promises to each other. The years since have been a happy mix of new adventures and quiet days, but I’m most excited about all the ones that are yet to come. I love you so, my beardy guy. Happy Anniversary to you and your husband what an exciting day! Congratulations! What a beautiful photo! Happy anniversary! I’m coming up on my 3 year too. Your dress is gorgeous!